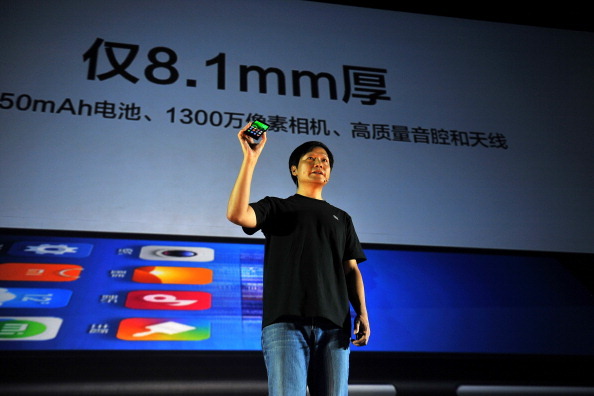 Xiaomi CEO Lei Jun launches a new Xiaomi smartphone in Beijing on September 5, 2013. In this episode of Sinica, Clay Shirky, the author of Here Comes Everybody who has written about the internet and its effects on society since the 1990s, joins Kaiser and Jeremy to discuss the strengths and weaknesses of China’s tech industry and the extraordinary advances the nation has made in the online world. The hour-long conversation delves into the details and big-picture phenomena driving the globe’s largest internet market, and includes an analysis of Xiaomi’s innovation, the struggles that successful Chinese companies face when taking their brands abroad and the nation’s robust ecommerce offerings. Clay has written numerous books, including Little Rice: Smartphones, Xiaomi, and the Chinese Dream in addition to the aforementioned Here Comes Everybody: The Power of Organizing Without Organizations. He is also a Shanghai-based associate professorwith New York University’s Arthur L. Carter Journalism Institute and the school’s Interactive Telecommunications Program. Professor Helen Margetts, Director of the Oxford Internet Institute and Professor of Society and the Internet, University of Oxford gives a talk on social media and how it can shape collective action. The internet and social media bring political change, allowing ‘tiny acts’ of political participation which can scale up to large-scale mobilisation of millions – but mostly fail.These new forms of mobilisation increase instability and uncertainty in political systems, challenging policy-makers in both democratic and authoritarian regimes. But they also generate new sources of large-scale data. Drawing on research carried out for the new book Political Turbulence: How Social Media Shape Collective Action (Margetts, John, Hale and Yasseri, 2015, Princeton University Press), this lecture discussed how social media is changing political systems – and how data science tools and methodologies might be used to understand, explain and even predict the new ‘political turbulence’. XIAMEN, China — The selfie, we all know, is an art form. That cast of light. That tilt of the chin. Not that you’re trying. But at the southern Chinese headquarters of Meitu, the maker of some of the world’s most popular beauty apps, the selfie is also science. Here in the company’s sparse, oh-so-start-up offices, tables of 20-somethings are using facial recognition and 3-D modeling to build a suite of apps that, quite literally, transform. She: International Women Artists Exhibition (until October 30), showing 108 works by 100 female artists from 13 countries, opened at Long Museum Shanghai’s West Bund location last Friday. Curated by Wang Wei, the museum’s director (and who along with husband Liu Yiqian is one of China’s top collectors), the exhibition was four years in the making and its four sections span ten centuries. The earliest work is calligraphy by the Southern Song-era artist Yang Meizi, while pre-modern China is represented through a painting by the Dowager Empress Cixi, followed by a section of mostly early Chinese Modernism and Maoist work. Drawn mostly from Wang and Liu’s extensive collection, the show is comprised largely of contemporary work, with international artists like Yoko Ono, Tracy Emin and Louise Bourgeois sharing space with Chinese trailblazers such as Xiao Lu, Lin Tianmiao and Duan Jianyu. Bourgeois’ 2003 massive metal Crouching Spider occupies Long’s atrium, with Ono’s 2015 wobbly staircase To See the Sky placed nearby. Lin’s 2014 whimsical carpet Protruding Patterns, adorned with epithets about women in Chinese and English, unfurls over the basement level. Xiao’s Dialogue, which caused the closure in February 1989 of the exhibition China Avant/Garde after the artist fired a gun at a mirrored phone booth, is awkwardly positioned towards the back, between cartoonish renditions of cockatoos and children. Many a stereotypical feminine piece is juxtaposed with powerful conceptual work by undisputable stars.